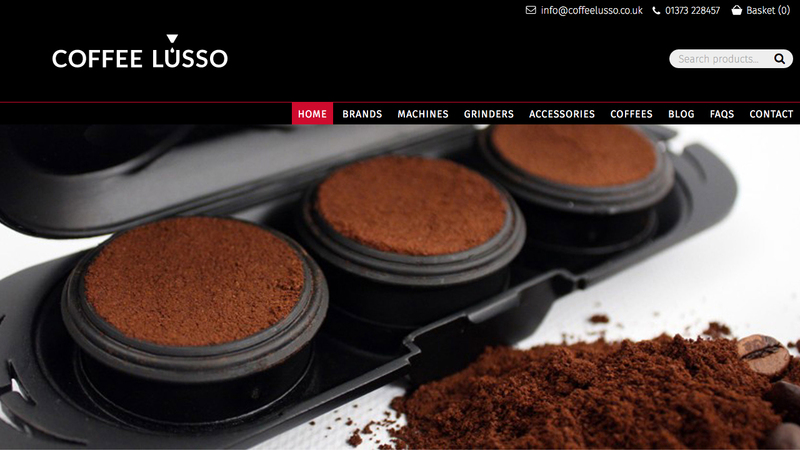 Coffee Lusso is an e-commerce website selling coffee machines, coffee grinders, coffee beans and coffee accessories. Director Alan Forgan is a true coffee guru with years of experience of the industry across the globe. Forget overly foamy cappuccinos and sweetened lattes, Alan is all about the Lungo, Corretto and the Mazagran… And if you don’t know what those are you should read his ‘Choose your Drink‘ blog post. 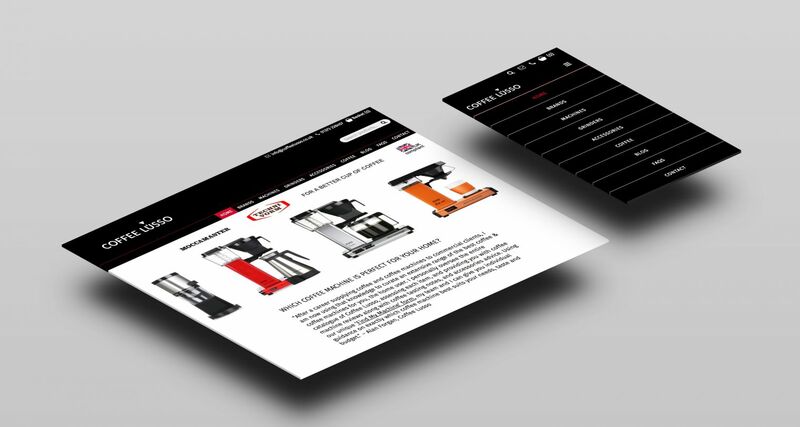 We launched their new e-commerce website for them on 1st December 2015, which showcases their hand picked range of coffee machines and grinders. The products are displayed in a responsive grid that scales to fit any screen. Like all of our websites, responsive design is a fundamental component. 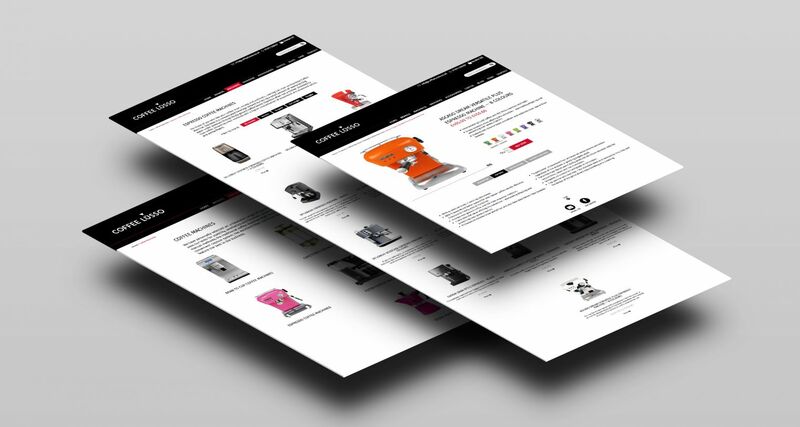 Each product in the overview pages can be clicked to view a product detail page, allowing the visitor to find out more about the product, and most importantly, to ‘Buy Now’. 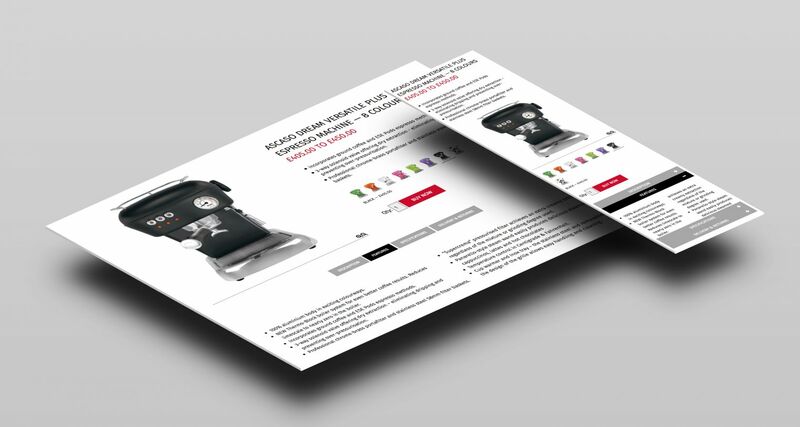 The product detail page features a smart tabbing system that allows key product information to be presented above the fold (such as the title, price, key featured and Buy Now button. The product tabs present further product information such as Description, Features, Specifications and Shipping information. The tabbing system is smart because it collapses down into a very mobile friendly accordion menu on mobile devices, which both we and the client are incredibly pleased with. The site features a helpful ‘Which Coffee Machine?‘ page that provides useful information on the types of coffee machines available, and also a ‘Find My Machine‘ questionnaire that asks the visitor a number of questions in order to determine the most suitable coffee machine for their household. Visit Coffee Lusso at www.coffeelusso.co.uk.